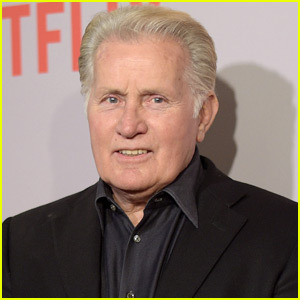 Martin Sheen underwent a successful quadruple bypass surgery on Thursday (December 17) but is recovering well, according to his son Emilio Estevez. The 75-year-old actor underwent the proactive surgery surrounded by his family and a team of experienced doctors and Emilio says he is “recovering beautifully” expected to be home for Christmas. He is also expected to be ready to film the third season of his Netflix series Grace and Frankie when production begins early next year. “Martin extends a big thumbs up and a BIGGER heart felt “THANK YOU” for all your well wishes and prayers. He wants to wish you a very Merry Christmas and sends you all a mighty blessing!” Emilio wrote on the Facebook page for The Way, a 2010 movie he directed. Teresa Giudice — I'm Dreaming Of A Quiet Post-Prison Christmas Tupac Shakur — Alive?! #Kleanse Spotlight: This Incredible Woman Turned Her House Into A Sanctuary For Elderly Cats And Dogs! Heather Morris Reveals Which 'Glee' Co-Stars Want Tickets for 'DWTS'! Russell Brand Is Married to Laura Gallacher! Is Daniel Actually The Bad Guy In The Karate Kid?? This HIGHlarious Video Will Change The Way You Watch The '80s Classic!